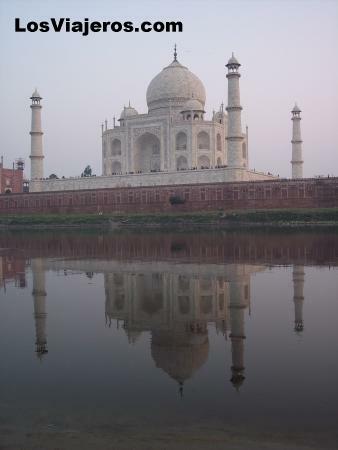 Taj Mahal - Agra - India: El mas famoso mausoleo del mundo. Taj Mahal - Agra - India: The most important Mughal mausoleum was constructed by Emperor Shah Jahan in memory of his second wife Mumtaz Mahal. Palacio de los Vientos - Jaipur - India Winds Palace - Jaipur - India "Index"